CFN - CALIFORNIA FIRE NEWS - CAL FIRE NEWS : Free new turnouts to CA fire exploring posts- Deadline 10/1. Free new turnouts to CA fire exploring posts- Deadline 10/1. The California Fire Exploring Scholarship recently received a donation of FIVE sets of brand new, never worn turnout/PPE gear. 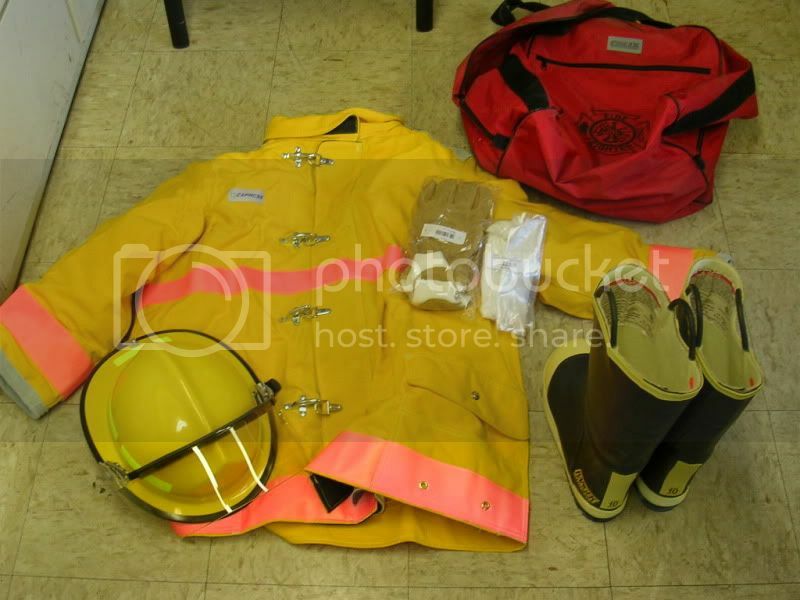 These sets include helmets, coats, pants, boots, gloves, flashover hood and red gear bag. We want to help a needy Explorer Post in California that can really use this equipment. Specialized Fire Decals as also donated some items. To submit interest acquiring all of this PPE- A department's Chief Officer or Explorer Post Adviser must submit a letter of interest on official department letterhead describing their situation and outlining their request. This gear must go directly to a department's Explorer or Cadet program only. NO submission letters from Explorer Scouts or Cadets please. The CFES can assist with shipping costs and these details will be discussed with the selected department. This information will also be faxed out all 72 departments with a post on Monday, the 20th.